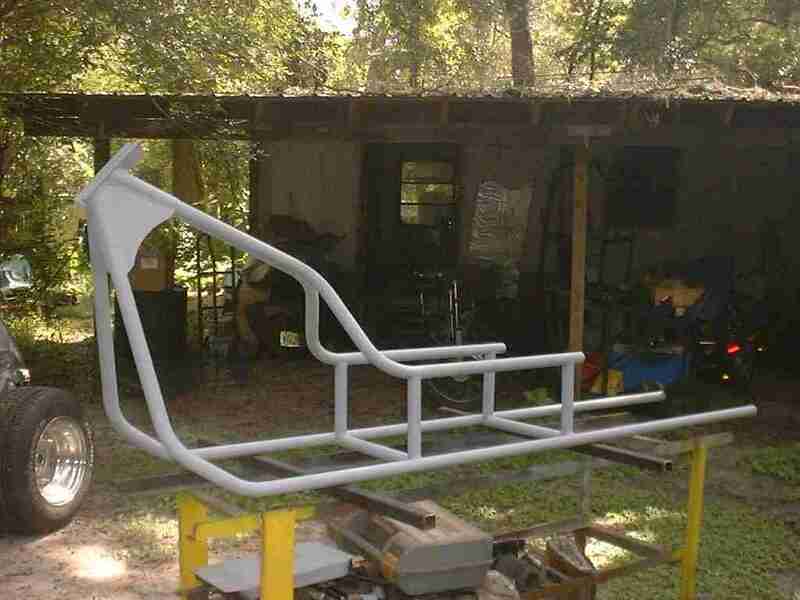 The Stark Naked Bettertrike Frame is $900 Jig cut and pro welded ready for any neck and drive train.. 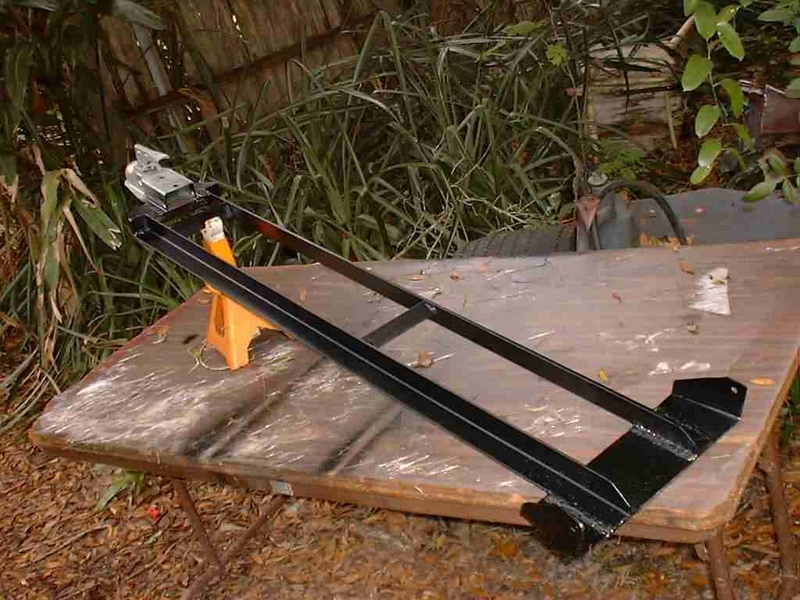 THE TRUTH: There are some very low priced trikes frames available, but DON'T BE FOOLED!.... 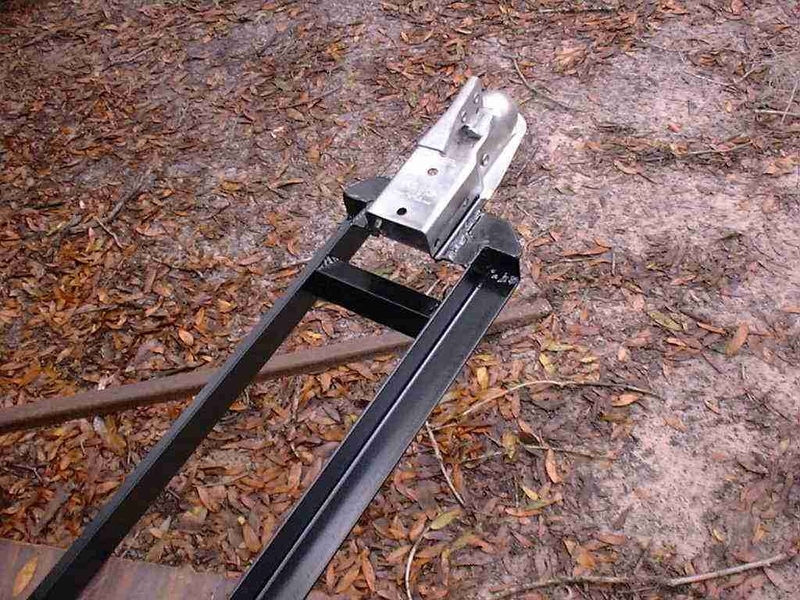 The single tube frame designs do work, but have their limitations.. 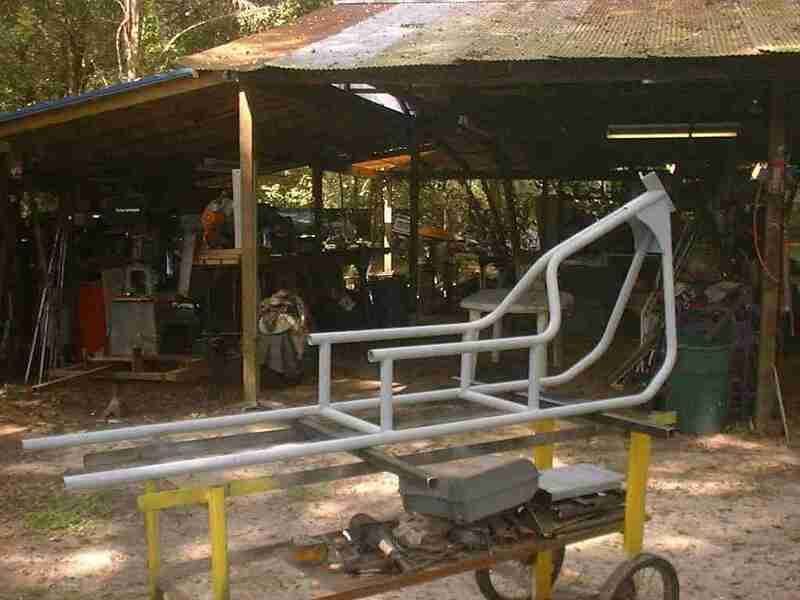 They can't compare to a space frame.. And certainly can't hold a candle to the Bettertrike continued improvement frames. 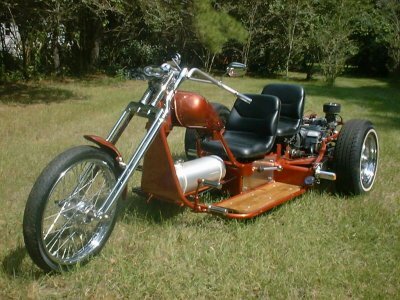 Each trike I build has some improvement over the last which contribute to a enjoyable long term triking experience. 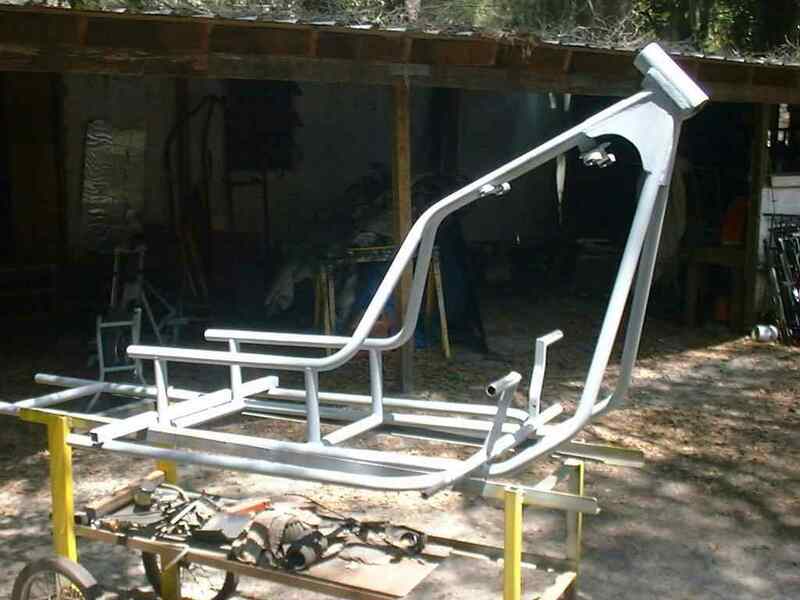 Simply put, Bettertrike frames are a true bargain, both in design and in dollars. And they will be collector items when I'm dead and buried (Not to worry, I'm not planning on checking out any time soon). 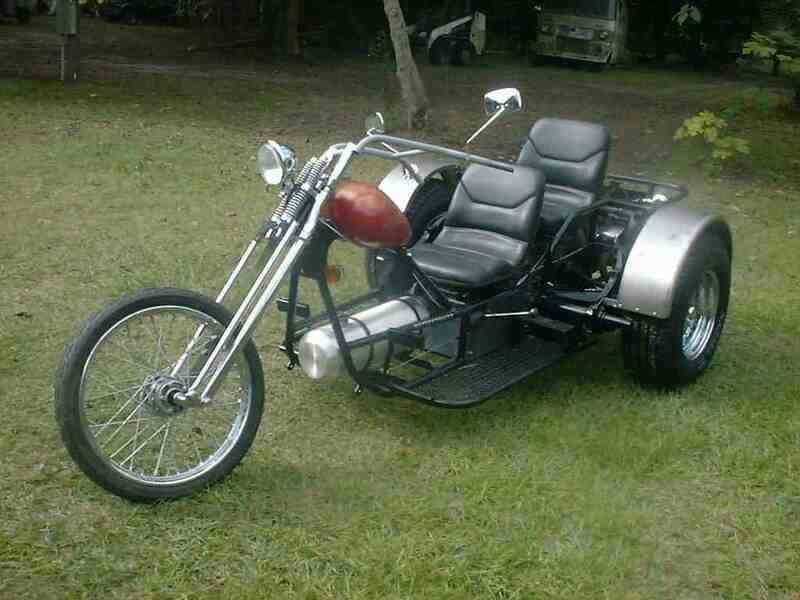 This is the Deluxe Bettertrike Chassis. with extras... 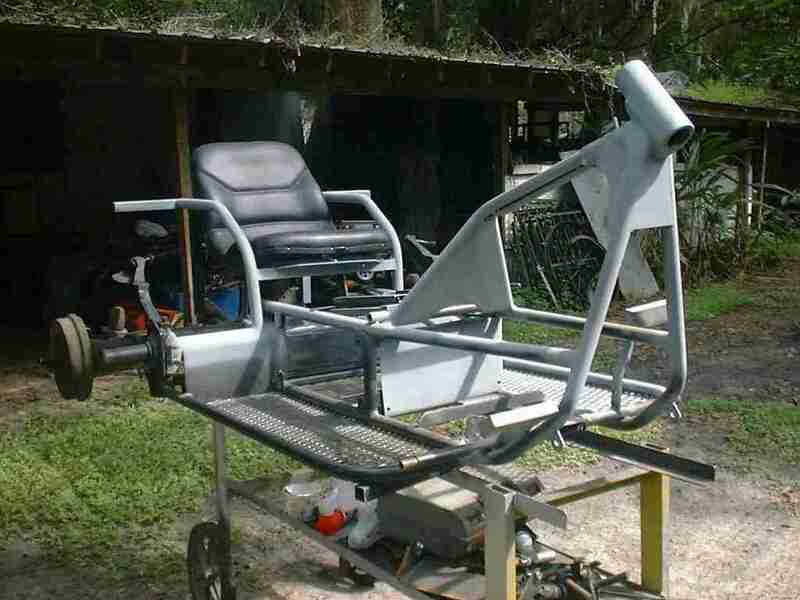 The Deluxe Chassis adds a VW rear clip ($200 core charge) welded in, master cylinder strut, clutch cable tube, under seat floor, battery box, solid rear trans mounts and torsion bar front plates. 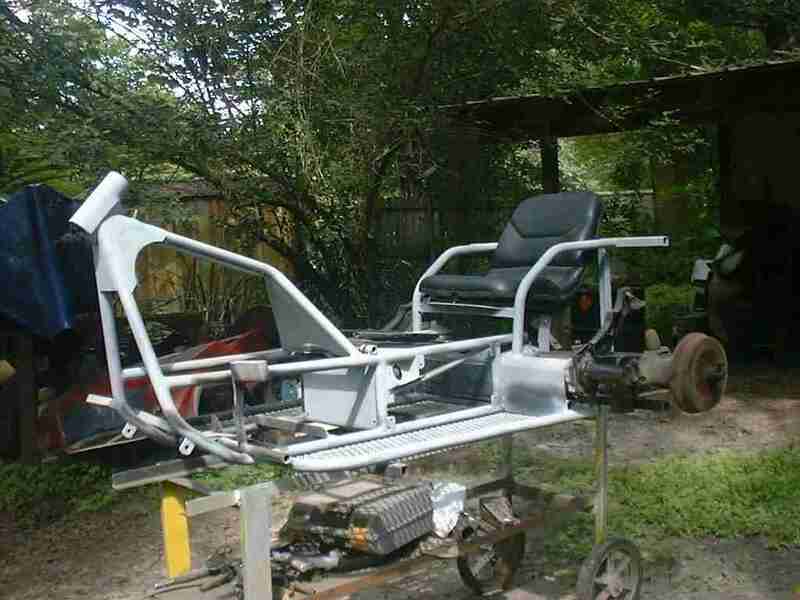 All for $1800 (cheap) This one has tabs for a tow bar, rear seat subframe, expanded metal running boards, front under seat cover and shifter box. We can build them to any level you wish.